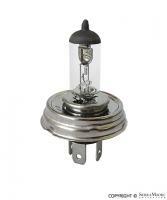 35W fog light bulb (tungsten filament) bulb for early 128 Hella fog light. These bulbs will fit the following Porsche models: 911, 924, 928, 944, 968, Boxster, Cayman. They can be used for the auxiliary brake light, taillight, and side marker bulbs. 12 Volt 3 Watt. Seven needed. Brake Light Bulb, 12V - 21/4W, for 911 (2006-2008), 911 Carrera (2005), 911 Carrera S (2005), Boxster (2005-2008), and Cayman (2006-2008) models. 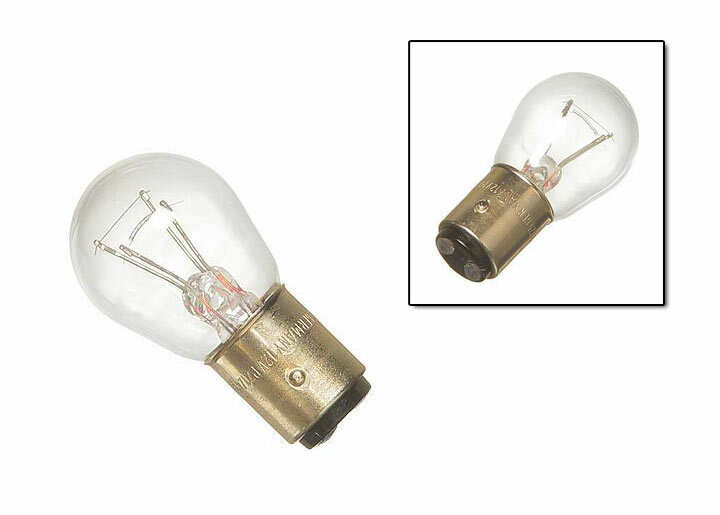 Dual filament bulb for 356 Pre-A and 356A (pre T2) models. Tail light and front directional bulb for European version 911 and 912 models from 1965 through 1973. 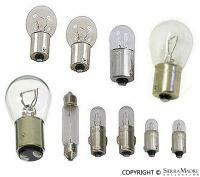 Light bulbs kit for 356 (1950-1955) and 356A(T1) (1955-1957) models. Light bulbs kit for 356AT2(1957-1959), 356B(1960-1963) and 356C(1964-1965) models. It fits: 911(1969-1973) and 912(1969) models. It fits: 911(1974-1989), 930(1976-1989) and 912E(1976) models. Engine and door key handle light bulb. 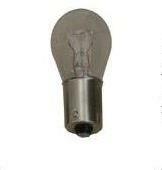 Tungsten bulb for European headlight with P45T base. 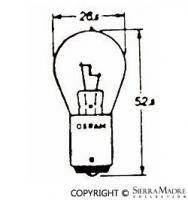 OSRAM # 7951. 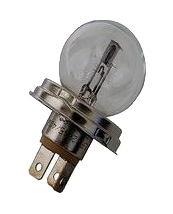 6V headlight bulb with Tungsten filament for all European Bosch or Hella units on all 356 models (1950-1965). 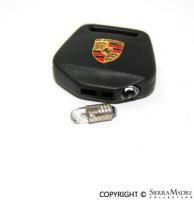 12V/55W high beam, longlife bulb for Boxster, 997 and Cayman models (2005-2012). 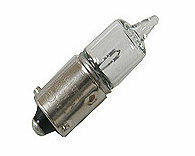 This item can also be used as a foglight bulb for Cayenne models (2003-2008). Please note this item can only be used with xenon headlights. Two required. 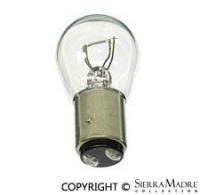 Replacement bulb for all Hella and Bosch halogen headlights, driving lights and foglights. 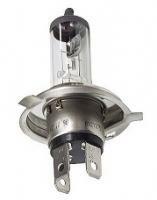 Halogen Bulb for European headlight with P45T base. OSRAM # 7951. 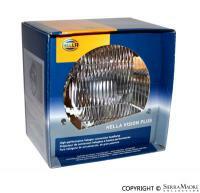 Replacement bulb for all Hella and Bosch halogen headlights, driving lights and fog lights. 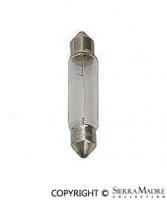 H4 light bulb for all Quartz Halogen headlights. 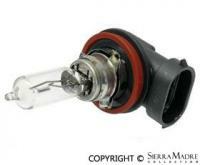 Halogen Bulb for European headlight with P45T base. 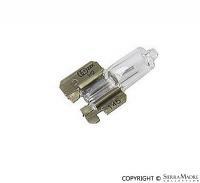 Hella H4 Conversion sealed beam US version Bulb. This light fits all Porsche headlights up to 1986. Not DOT approved. CURRENTLY UNAVAILABLEReplacement bulb for all Hella and Bosch halogen headlights, driving lights and foglights. It fits: 911 (1987-1989), 968 (1992-1995), C2 1990-1994), C4 (1989-1994), 911 Carrera (1987-1991), 928 (1987-1995) and Turbo models (1993-1994). 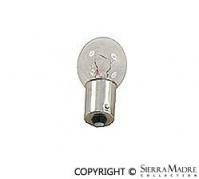 Replacement bulb for all Hella and Bosch halogen headlights, driving lights and foglights. It fits: 911 (1987-1989), 968 (1992-1995), C2 1990-1994), C4 (1989-1994), 911 Carrera (1987-1991), 928 (1987-1995) and Turbo models (1993-1994). Low beam Headlight/Fog light bulb. 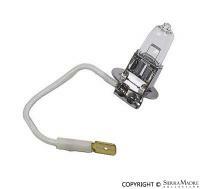 12V/65W high beam headlight bulb for Boxster, 997 and Cayman models (2005-2008). Please note this item can only be used with halogen headlights. Two required. 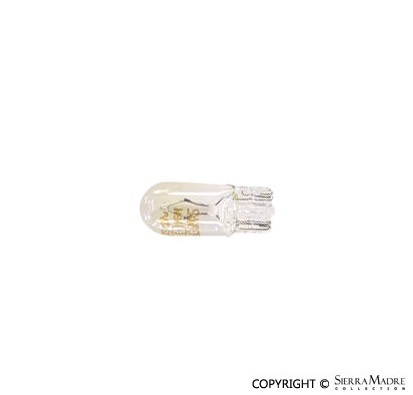 Headlight bulb 35W 4000k for Cayenne models years 2003-2014 and Panamera years 2010-2013. Excellent upgrade for your Porsche. 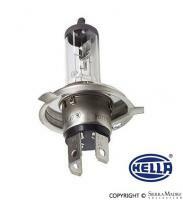 Hella® Vision Plus sealed beam conversion with removable 12V HB2 halogen bulb. DOT approved. 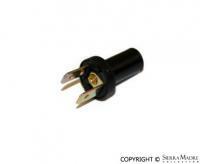 Replacement bulb for dashboard instruments on 911 and 912 (1966-1989) models. 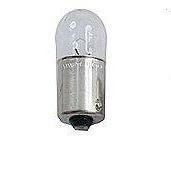 Instrument light bulb for 12 Volt/ 2W 1966-1989 models. Instrument illumination bulb for all 356 models. Instrument warning light bulb for 356 models. 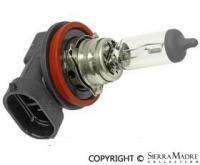 Instrument panel light bulb with beige base (12V/1.5W) for 911 Turbo and 993 models (1990-1998). Interior 10 watt light bulb for all 356 models. Interior 5 watt light bulb for all 356 models. Diameter is 11.60mm. Light Emitting Diode (LED) has longer life expectancy and much higher efficiency (same light for less electricity) than a standard bulb. They also have no glass tubes to break, and their internal parts are rigidly supported, making them resistant to vibration. Please choose 6 or 12 Volt. Diameter is 9.80mm. Light Emitting Diode (LED) has longer life expectancy and much higher efficiency (same light for less electricity) than a standard bulb. They also have no glass tubes to break, and their internal parts are rigidly supported, making them resistant to vibration. Please choose 6 or 12 Volt. 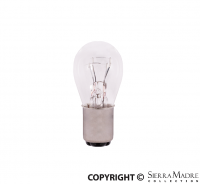 6 VOLT OPTION IS CURRENTLY UNAVAILABLELight Emitting Diode (LED) has longer life expectancy and much higher efficiency (same light for less electricity) than a standard bulb. They also have no glass tubes to break, and their internal parts are rigidly supported, making them resistant to vibration. Please choose 6 or 12 Volt. Light Emitting Diode (LED) has longer life expectancy and much higher efficiency (same light for less electricity) than a standard bulb. They also have no glass tubes to break, and their internal parts are rigidly supported, making them resistant to vibration. Please choose 6 or 12 Volt. 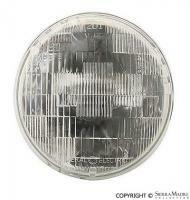 License light bulb (12V/5W) for 911 Turbo, 993 and 996 models (1990-2004). Two required. 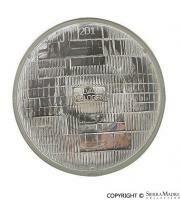 Replaces license plate and parking light for 356, 356A, 356B and 356C models. Also can be used for the rear turn signal on 356A(T2) thru 356C. Two terminal bulb holder for 911 and 930 models from 1970 thru 1988. 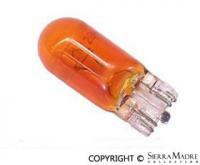 OSRAM # 5008. 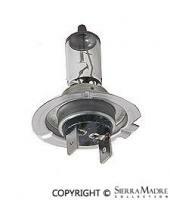 Replacement bulb for discontinued luggage compartment light, part number N.017.719.2, on 911 models (1972-1981). 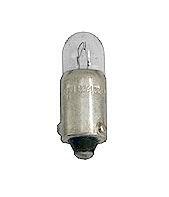 Turn or taillight bulb 12 Volt 21/4W. 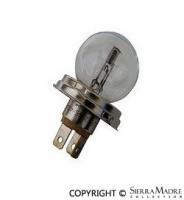 Replacement bulb for side markers (all), license light (1966-1973) and alternator light (1982-1989). 8mm x 27mm. 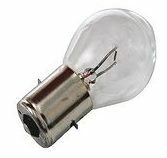 Single filament 15 watt bulb for beehive turn signal lights and rear spot light on 356 Pre-A and 356A models. 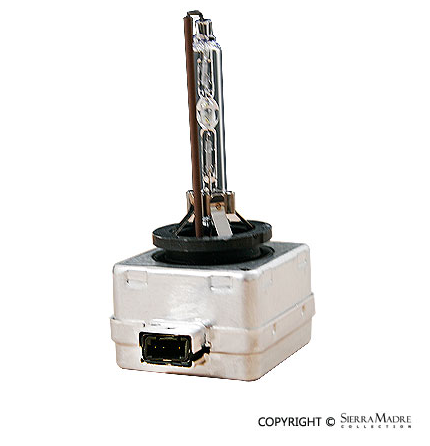 Single filament 18W bulb for all 356 models. 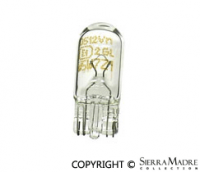 OSRAM # 7528. 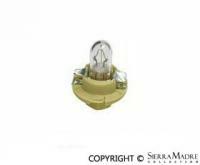 Double contact bulb for front turn signal and position light 911/912/930/912E (1969-1989) and brake and tail light (All models). Turn signal single contact bulb fits front and rear on 1966-1968 models, rear 1969-1989, third brake light on 1986-1989, and back up light on all models. 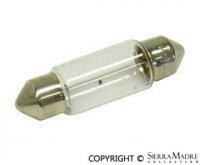 Replacement 12 Volt clear bulb for Lucas driving or fog light. Taillight bulb for amber lenses. 6V/4W light bulb for front parking lights on 356B and 356C models. 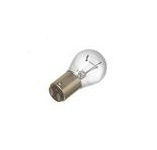 Single filament 18 watt reverse light bulb. 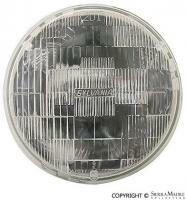 Halogen 12 Volt sealed beam headlight all 356, 911, 912 and 930 models (1950-1986). 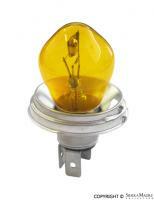 Amber 12W/5V front side marker bulb for Boxster, 996, Cayman and Cayenne bulbs (1997-2008). Two required. Taillight bulb is 12 volts and fits all models. Two required.